The closing of Chicago’s Lake Shore Drive due to a beam failure this week has led Mayor Rahm Emanuel to renew calls for a major capital infrastructure bill statewide. 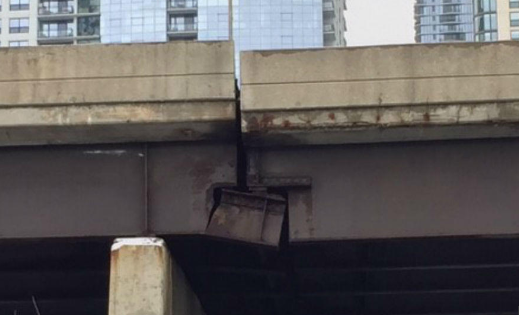 The northbound lanes of Lake Shore Drive closed Monday after an electrician making repairs detected beams in danger of failing on the bridge across the Chicago River. In remarks Tuesday, Emanuel said “a temporary fix” had reopened the drive, popularly known as LSD, while permanent repairs were completed. According to Emanuel, “spot checks” across the city on “similar structures” were being conducted, as the beam failure was blamed on the brutal cold temperatures that recently hit Chicago. But he said it illustrated the need for the state to pass a new major capital spending bill on infrastructure. Emanuel pointed to how the Chicago Transit Authority continued to function during the most recent “polar vortex” cold snap, but other Metra suburban lines were crippled. “They all need investment,” he added. Yet he quickly pivoted to insist it’s not just about preventive measures, but about creating the environment to sustain growth in business and manufacturing. Citing Ford’s announcement last week that it would be adding 500 jobs and investing $900 million in its Chicago assembly plant, Emanuel said, “They have literally been closing plants across the country, but they doubled down on the investment to bring 500 more jobs here. That’s because of the investment in transportation” the city made earlier in and around the South Side plant, including a pedestrian bridge. Pointing out that Ford earlier added 1,200 jobs at the plant, he said, “Rather than closing the factory, they’ve added more than 1,700 jobs because we invested in the infrastructure — in the bridge, in the roads in and around the plant. A year ago, the Illinois Economic Policy Institute issued a paper finding that Illinois Department of Transportation roadways have deteriorated over the last two decades due to lack of repairs and the failure to pass a major capital-spending bill. ILEPI charged that 20 percent of IDOT roads are rated in “poor” condition, up from 8 percent in 2001, and 31 percent of all bridges across the state, almost a third, are more than 50 years old, with 8 percent of IDOT bridges considered “backlogged,” meaning overdue for replacement. Gov. J.B. Pritzker pledged to pass a major capital spending bill in his inaugural address last month.